Our business is growing and we provide an exceptional level of service to our clients. But we are not content with that! We have created the new position of Business Development Manager and we are delighted to welcome Simon Trevelyan into this role. 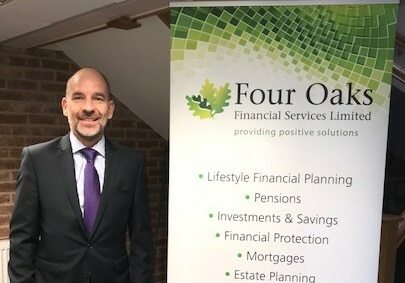 Simon will be working with our team of local Financial Advisers at our prestigious offices in Shenstone Wood End near Tamworth, Lichfield and Sutton Coldfield. As Business Development Manager, Simon will be supporting our Advisers with their continuing professional development so we can maintain and enhance our high levels of customer service. 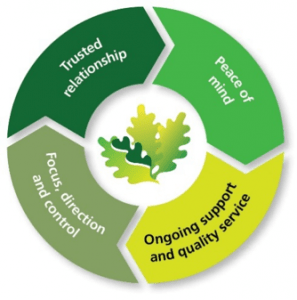 The other key aspect of the role is to co-ordinate the interaction between our Advisers and the research and administrative processes that are carried out in other departments. Simon has many years of experience in financial services and has spent over 15 years successfully managing teams of Advisers with the emphasis on delivering tailored advice, not “tick box” advice. Whilst at Skipton Financial Services, Simon was top regional manager for 3 years and was the company’s national seminar presenter, presenting at events organised by The Guardian and The Telegraph newspapers. In his spare time Simon plays golf and is an avid Rugby Union fan and supporter of Lichfield Rugby Union Football Club. Our Paraplanning, Client Liaison and Client Support teams make a huge contribution to the excellent client experience we provide. They perform a vital role in supporting our Financial Advisers who give local financial advice in the Tamworth, Lichfield and Sutton Coldfield areas. Our support teams not only provide information and admin services before an Adviser meets a client, they also make sure the Adviser is able to give appropriately researched advice and, once a client has made a decision on where and how to invest, they make this happen by doing all the processing work. We are investing in a programme of personal development skills training, which has already started and is being delivered by respected coach and trainer John Stylianou of Actual People Development. The training is encompassing communication skills, telephone techniques and skills, planning and time management and preparing for performance reviews. 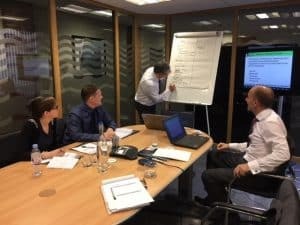 The training will be delivered in workshops that will dovetail with the training and management development skills that John is working on with our senior managers Kimberley Malin, Head of Client Support who is the leader of the Client Liaison and Client Support Teams and John Smith who is Head of Paraplanning. Find out more about Actual People Development. In recent months Kimberley Malin and John Smith have been promoted to Head of Client Support and Head of Paraplanning respectively, and they are also members of our Steering Group. They are both extremely talented individuals in their areas of expertise but as we are growing as a business, so is our workforce. 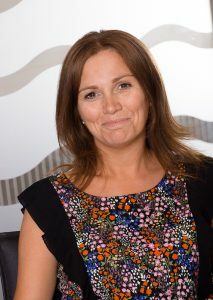 We have therefore invested in a programme of management development coaching and training for both Kimberley and John. We have contracted highly respected coach and trainer John Stylianou of Actual People Development based in Lichfield to deliver a series of training workshops and one to one coaching on a regular basis over the next 12 months. John is a consummate professional and has a background in delivering professional development for well-known organisations in the financial sector and high growth SME businesses. Six First Time Exam Passes Gets Our Academy Off To A Flying Start! 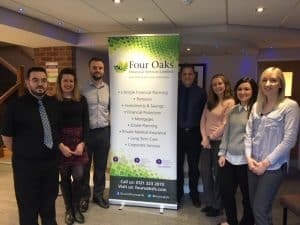 The first exams to be taken by our people through our new Four Oaks Training Academy have netted fantastic results with all six of them passing their RO5 Financial Protection examination first time! Congratulations to Lily Jackson, Sam Harley, Emily Walker, Kevin Holder, Charlotte Holmes and Charlotte Trueman. The aim of our Academy is to enable our Financial Advisers and our support teams to study for their professional qualifications. In this instance all of our Academy members who took this exam are not Financial Advisers, they are from our Paraplanning and Client Support teams. We believe it is important for all of our staff to be as well qualified as possible in order to provide the very best service to our clients. The Four Oaks Academy is now studying for the RO2 qualification in Personal Taxation. If you knew how much money you would have at the end of your life, and this was far more than you needed, think how this might affect the decisions you will make. When will I know when I can retire? Could I change career or go part-time? 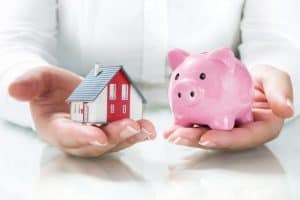 Can I give my children money for house deposits and still be able to live comfortably? The very sad fact is that lots of people amass more money than they will need to give them for a long and fulfilled retirement. They spend years working and worrying when they could be living their dreams and spending time with family. The key is to work with your Adviser to model what you need to do that will result in the income you need to achieve your life goals. This lifetime lifestyle financial plan will bring clarity and peace of mind. 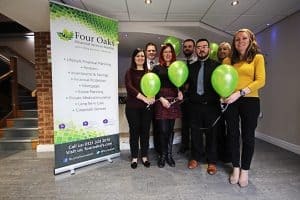 We have launched the Four Oaks Training Academy creating a defined career path for our team who wish to achieve their Level 4 Diploma in Financial Planning. This could lead them to becoming a Financial Adviser or pursuing another career route with us at Four Oaks. This is a financially remunerated development programme which is good for our team and good for Four Oaks because we ensure we keep our very talented people within the business and have an excellent stream of qualified Advisers to support our clients and future growth.